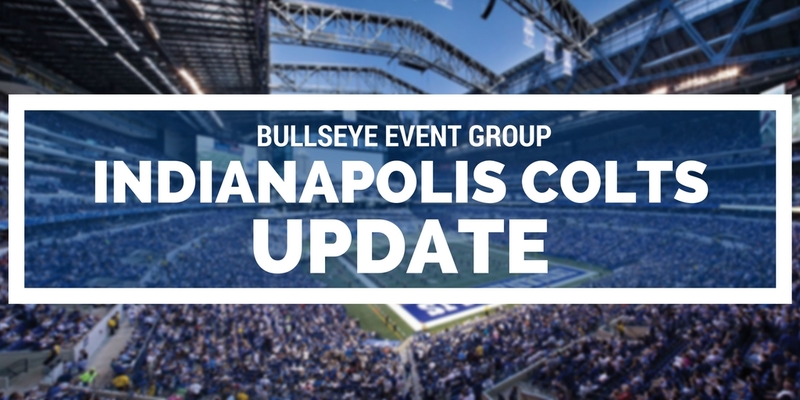 The Indianapolis Colts were hosting their first ever Thanksgiving game in Indianapolis in week 12, facing the Pittsburgh Steelers on short rest and without franchise quarterback Andrew Luck, who entered the league’s concussion protocol following the week 11 win against the Tennessee Titans. It’s a nightmarish Colts Weekly Update. Without Luck, the Colts were ready to go with backup quarterback Scott Tolzien at the helm on Thursday night. Tolzien actually performed better than expected (albeit throwing two interceptions), tossing for 205 yards and a touchdown. It was the rest of the offense, however, that seemed to be a problem. Drops plagued the Colts wide receiving corps on Thursday night, costing the team at least 14 points. Drops by TY and Dorsett have cost the Colts 14 points tonight. Wow. Colts can't convert again on 4th & goal. Phillip Dorsett drops a should-be TD and the Steelers take over. Colts keep missing chances. While QB Andrew Luck and safety Clayton Geathers missed Thursday’s game due to the league’s concussion protocol, there were several other key Colts players that would suffer injury and exit Thursday night’s game as well. Wide receiver T.Y. Hilton, center Ryan Kelly, and cornerback Vontae Davis, among others, all left Thursday’s game with respective injuries and would not return. Hilton, who would try to come back on an offensive drive during the 3rd quarter, would last only one play before having to return to the sidelines. No Luck. No Geathers. No T.Y. No Vontae. No Kelly. Injuries haven't been kind to the Colts for this one. It appears as though Luck has been cleared to return to practice on Monday, which is a good sign for Colts fans. While we await injury updates on all of those injured in the Thanksgiving night matchup, it helps that the Colts are on 11-days of rest as they will head to New York to face the Jets at MetLife Stadium on Monday Night Football.